Founded in 1976 Technology Dynamics Inc. (TDI) manufacturers High Reliability Switching Power Supplies & DC-DC Converters and DC-UPS Systems (Battery Back-Up) power supplies in the range from 50 watts to 30KW. With a vast library of 3500 Standard, Modified, and Full Custom field proven designs, Technology Dynamics Inc. can support any application found in Telecom, Data Processing, Medical, Industrial and Military programs . While many companies offer consumer based products modified to meet certain “rugged” applications, Technology Dynamics Inc. products are designed from inception with Harsh Industrial and Military environments in mind. Technology Dynamics Inc. manufacturers a vast array of Low, Medium & High Power AC-DC Switching Power Supplies in both Single and Multiple output configurations. Most Power Supply models are in stock for immediate delivery and each Power Supply can be customized to your exact needs. Loaded with standard features Technology Dynamics Inc. products are the Power Supply of choice for today’s demanding applications. The TCP Series is a compact, high power single output switching power supply. This unit is available in 400, 600, 800 & 1000 Watt versions with outputs ranging from 3.3VDC to 48VDC. Robust design makes them ideal for either commercial or harsh environment industrial applications. The TCP Series is available in ruggedized “COTS” versions for military applications. The PTCP Series is a compact, high power single output switching power supply. This unit is available in 400, 600, 800 & 1000 Watt versions with outputs ranging from 5VDC to 48VDC. Robust design makes them ideal for either commercial or harsh environment industrial applications. 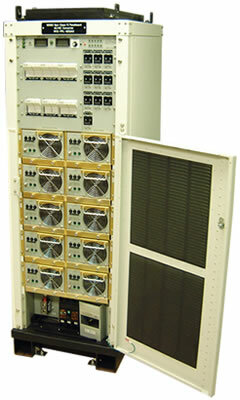 The PTCP Series is available in COTS versions for military applications. 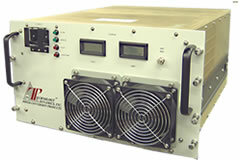 The TDCP Series is a compact, high power conduction cooled single output switching power supply. Available in 800 Watts with outputs ranging from 12VDC to 48VDC. Robust design makes them ideal for either harsh environment industrial and military applications. The TDCP Series is available in ruggedized “COTS” versions for military applications. 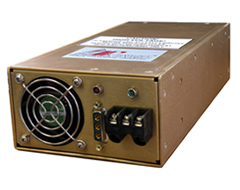 The TD RSP-1000 Series is a 1U high power switching power supply. Standard features include Power Factor Correction and Forced Current Share for Parallel & Redundant operations. This unit is available as a stand alone “COTS” unit and is also available in a Hot Swap version as well. Most models in stock for immediate delivery. 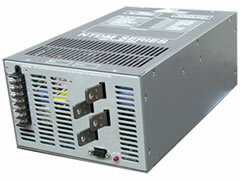 The TD RSP-1500 Series is an enclosed 1500 watt Switching Power Supply. Robust construction makes this unit ideal for harsh environment applications. Universal AC Input, Internal DC fan and Auxiliary 12 volt output are just a few standard features on this versatile unit. 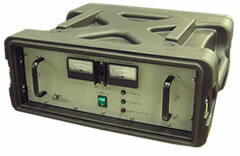 The TD RSP-1500 is easily modified and can be rack mounted for Industrial and Military applications. 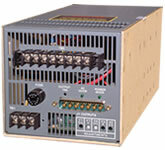 The TD RSP-2000 Series is a 1U high power switching power supply. Standard features include Power Factor Correction and Forced Current Share for Parallel & Redundant operations. This unit is available as a stand alone “COTS” unit and is also available in a Hot Swap version as well. Most models in stock for immediate delivery. The NTDM Series of “BULK” Power Rugged AC-DC power supplies provides highly regulated output power to 3000 watts. Rugged construction and superior quality makes this power supply ideal for harsh environment applications. Available in standard, modified or fully custom configurations , for industrial, commercial, COTS, ruggedized and military applications. The TD RSP-3000 Series of Power Factor Corrected AC-DC power supplies provides highly regulated output power to 3000 watts. Rugged construction and superior quality make this power supply ideal for harsh environment applications. Features include high efficiency 90%, current share and a 12V auxiliary output. Available in standard, modified or fully custom configurations, for industrial, commercial, COTS, ruggedized and military applications. The NTDR Series of “Bulk” Power Rugged AC-DC power supplies provides highly regulated output power to 3000 watts. Rugged construction and superior quality makes this power supply ideal for harsh environment aircraft ground support applications. Available in standard, modified or fully custom configurations, for multi-use to anchor work station, assembly line or service hanger where 270VDC oputput voltage is needed. The NTDX-6000 Series is a Bulk Power unit which is capable of continuous High Power DC output voltage. Standard packing makes this unit ideal for system upgrade when additional power is needed for rugged industrial or military applications. Front panel terminations ease of operating along with high MTBF in excess of 100,000 hours. Output voltages include 12, 24 & 48 VDC. Overvoltage, ove rcurrent & over temperature are standard. The HPRM Series is a rack mount, bulk power, 10kw, programmable switching power supply. Since its introduction the HPRM has evolved into one of the most reliable, compact, high performance power supplies available. It features excellent performance in demanding high current applications such as RF amplifiers, DC motors and Magnetic Coils. The many standard features make it an excellent choice for both OEM and laboratory applications. The LTBC Series is a Low Profile 600 watt multiple output power supply. This unit has a high power main output and 3 additional secondary outputs. Rugged construction makes this an ideal unit where multiple outputs are required in a harsh environment. internal fans provide cooling and the LTBC can be equipped with Oring diodes for redundant operation. The TMP Series of Modular power supplies offer many unique features which make this unit a must when it comes to power supplies that are easily customized to your exact needs. Designs can be easily changed to the output voltage & current you require. Standard features include ZVT Technology for greater power dissipation and improved delivery. Universal AC input and remote control of each output. Contact us for your exact needs. The TDL Series is a Low Profile 600 – 1000 watt multiple power supply. This units has a high power main output and additional secondary outputs. Rugged construction makes this an ideal unit where multiple outputs are required in a harsh environment. Internal fans provide cooling and the TDL can be equipped with ORing diodes for redundant operation. Technology Dynamics Inc. manufactures a wide range of enclosed DC-DC Converters ranging in power from 25 to 1,200 Watts in stand alone or Rack Mount configurations. 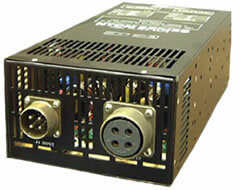 Technology Dynamics Inc. DC-DC Converters offers both single and multiple output converters. Standard, Modified and Full Custom designs are available for Rugged Industrial and Military applications. Most DC-DC Converters are in stock for immediate delivery. DC-DC Converter input ranges include 24, 48 & 125 VDC inputs. The TSD family of DC-DC Converters was designed to satisfy a market for low, cost high reliability applications. The TSD series is especially suitable for critical telecom, medical, automotive and robotic applications. Most models in stock and immediate delivery. Rack mount or custom configurations available. The TCPDC family of power supplies was designed to satisfy a market for low cost, high reliability applications. The TCPDC is especially suitable for critical systems in remote locations, severe environment, redundant (N+1) or battery back-up uninterruptable operation. This versatile design is loaded with options, making it particularly suitable to custom applications. The TSD -1000 series of DC-DC converter provides highly regulated output power to 1000 watts. Rugged construction and superior quality make this DC-DC Converter ideal for harsh environment application. Available in standard, modified or fully custom configuration, for Industrial, Commercial, COTS, Ruggedized and Military application. The HVDC family of DC – DC Converters was designed to satisfy airborne and ground support equipment for military aircraft applications. The HVDC series is especially suitable for critical system support testing where 270 VDC output voltage is required. Available also in standard 19″ rack mount designs and individual units can be paralleled for increased power levels. The NTDC series of DC-DC converter provides highly regulated high output power to 3000 watts. Rugged construction and superior quality make this high power DC-DC Converter ideal for harsh environment application. Available in standard, modified or fully custom configuration, for Industrial, Commercial, COTS, Ruggedized and Military application. The XTDRSP series 1500W DC-DC Converter provides highly regulated output power from 1500 watts. Rugged construction and superior quality make this DC-DC Converter ideal for harsh environment applications. Available in standard, modified or fully custom configurations, for industrial, commercial, COTS, Ruggedized and Military applications. The XPTCPDC series 400-1000W DC-DC Converter provides highly regulated output power from 400-1000 watts. Rugged construction and superior quality make this DC-DC converter ideal for harsh environment applications. Available in standard, modified or fully custom configurations, for industrial, commercial, COTS, Ruggedized and Military applications. These 125 VDC input DC-DC Converter products are renowned for their outstanding performance, reliability and cost-effectiveness. Technology Dynamics Inc. Converter products are used extensively by OEMs and system integrators for diverse applications in the communications, computing, storage, business systems, test and measurement, instrumentation, and industrial equipment industries. The LTBDC family of DC-DC Converters was designed to satisfy a market for low cost, high reliability applications. The LTBDC is especially suitable for critical systems in remote locations, severe environment, redundant (N+1) or battery backup uninterruptible operation. This versatile design is loaded with options, making it particularly suitable to telecommunications applications. The TDLDC family of power supplies was designed to satisfy a market for low cost, high reliability applications. The TDLDC is especially suitable for critical systems in remote locations, severe environment and redundant operation (N+1). This versatile design is loaded with options, making it particularly suitable to telecommunications applications. Technology Dynamics Inc. DC-UPS power supply systems are designed to provide clean, uninterrupted power to critical DC loads in the event of AC (utility) power loss. The DC-UPS Power Supply provides Backup Power for a certain duration of time depending on the load and battery capacity. Technology Dynamics Inc. DC-UPS Power Supply systems are available in several power levels and configurations uniquely designed for your exact application. The TCP-BX-BBU Series is a full-function DC-UPS Battery Backup system complete with internal sealed lead acid batteries. Based on our industry proven designs, this compact system is rugged, efficient and ideal for critical systems where down time cannot be tolerated. The TCP-BX-BBU Series of DC-UPS contains a primary power supply, batteries and LVBD circuit. This combination produces clean, uninterrupted power to critical DC loads. The TCP-RK-BBU Series is a full-function DC-UPS Battery Backup system complete with internal sealed lead acid batteries. Based on our industry proven designs, this rack mount system is rugged, efficient and ideal for critical systems where down time cannot be tolerated. The TCP-RK-BBU Series of DC-UPS contains a primary power supply, batteries and LVBD circuit. This combination produces clean, uninterrupted power to critical DC loads. The TCP-TC-BBU Series is a full-function DC-UPS Battery Backup system complete with internal sealed lead acid batteries. Based on our industry proven designs, this rack mount system is rugged, efficient and ideal for critical systems where down time cannot be tolerated. The TCP-TC-BBU Series of DC-UPS contains a primary power supply, batteries and LVBD circuit. This combination produces clean, uninterrupted power to critical DC loads. The TD-WM-BBU Series is a full-function DC-UPS Battery Backup system complete with internal sealed lead acid batteries. Based on our industry proven designs, this wall mount unit is rugged, efficient and ideal for critical systems where down time cannot be tolerated. The TD-WM-BBU Series of DC-UPS contains a primary power supply, batteries and LVBD circuit. This combination produces clean, uninterrupted power to critical DC loads. The TCP-LP-BBU Series is a full-function DC-UPS Battery Backup system complete with internal sealed lead acid batteries. Based on our industry proven designs, this hot swap rack mount system is rugged, efficient and ideal for critical systems where down time cannot be tolerated. The TCP-LP-BBU Series of DC-UPS contains primary power supplies, batteries and LVBD circuit. This combination produces clean, uninterrupted power to critical DC loads. The TCP-HP-BBU Series is a full-function DC-UPS Battery Backup system complete with internal sealed lead acid batteries. Based on our industry proven designs, this rack mount system is rugged, efficient and ideal for critical systems where down time cannot be tolerated. The TCP-HP-BBU Series of DC-UPS contains a primary power supply, batteries and LVBD circuit. This combination produces clean, uninterrupted power to critical DC loads. The TCP-LVBD Series is a compact, high power single output switching power supply. Designed to change lead acid, this unit is available in 400, 600, 800 and 1000 Watt versions with outputs ranging from 12 VDC to 48 VDC. Robust design makes them ideal for either commercial or harsh environment industrial applications. The TCP-LVBD Series is available in COTS versions for military applications meeting MIL-STD-810. The TCP-BC Series is a compact, high power single output switching power supply. Designed to charge lead acid battery, this unit is available in 400, 600, 800 and 1000 Watt versions with outputs ranging from 12 VDC to 48 VDC. Robust design makes them ideal for either commercial or harsh environment industrial applications. 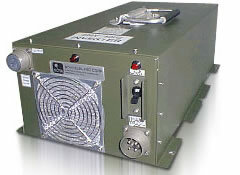 The TCP-BC Series is available in COTS versions for Military applications meeting MIL-STD-810. Technology Dynamics Inc. manufactures a wide range of Hot Swap Power Supplies ranging in power from 1000 watts to 25 KW Watts in Rugged Hot Swap Rack Mount Configurations. Technology Dynamics Inc. Hot Swap Power Supply offers both (N+1) Redundant or Parallel configurations. Standard, Modified and Full Custom Power Supply designs are available for Commercial, Rugged Industrial and Military applications where critical, no down time power is required. 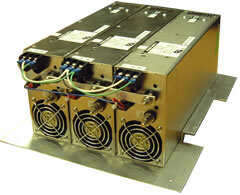 Custom designs are available, contact Technology Dynamics Inc. for your exact Hot Swap Power Supply needs. Technology Dynamics Inc. TD RCP-HS Series of Hot Swap Power Supplies provides continuous power from 1000 to 3000 watts depending on module count. The system is 1U in height and is loaded with standard features making it ideal for “Critical System” use where no down time can be tolerated. Each 1000 watt module can be removed while the system is active should one module need service. Custom rack configurations and battery back-up systems are also available. Technology Dynamics Inc. PTCP-HS Series of Hot Swap Power Supplies provides continuous power from 1000 to 3000 watts depending on module count. The system is 2U in height and is loaded with standard features making the ideal for “Critical System” use where no down time can be tolerated. Each 1000 watt module can be removed while the system is active should one Module need service. Custom rack configurations and battery back-up systems are also available. Technology Dynamics Inc. TDL-HS Series of Hot Swap Power Supplies provides continuous power from 1500 to 4500 watts depending on module count. The system is 3U in height and is loaded with standard features making the ideal for “Critical System” use where no down time can be tolerated. Each 1500 watt module can be removed while the system is active should one Module need service. Custom rack configurations and battery back-up systems are also available. Technology Dynamics Inc. NTDM-HS Series of Hot Swap Power Supplies provides continuous power from 1500 to 6000 watts depending on the model selected. Ruggedly designed this system is 3U in height and is loaded with standard features making the ideal for “Critical System” use where no down time can be tolerated. Each Hot Swap module can be removed while the system is active should one module need service or replacement. Custom rack configurations and battery back-up systems are also available. 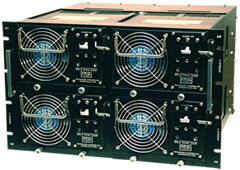 The NTDR-HS Series from Technology Dynamics Inc. offers a series of 30VDC High Power Swap Rack Mount power supplies. Ideal for applications that call for Parallel power up to 11.5KW in a Parallel or Redundant configuration. Rugged construction and superior quality makes this unit ideal for Harsh Environment Industrial and Military applications. Versatile in design, these units are available in Modified and Full Custom configurations. 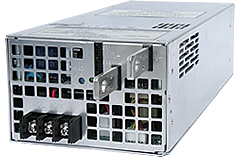 Technology Dynamics Inc. NTDM-4HS Series of Hot Swap Power Supplies provides continuous power from 1500 to 12000 watts depending on module count. Ruggedly designed this system is 6U in height and is loaded with standard features making the ideal for “Critical System” use where no down time can be tolerated. Each Hot Swap module can be removed while the system is active should one module need service or replacement. Custom rack configurations and battery back-up systems are also available. Technology Dynamics Inc. NTDM-6HS Series of Hot Swap Power Supplies provides continuous power from 1500 to 18000 watts depending on module count. The system is 10U in height and is loaded with standard features making the ideal for “Critical System” use where no down time can be tolerated. Each Hot Swap module can be removed while the system is active should one module need service. Custom rack configurations are also available. Technology Dynamics Inc. has a full complement of Commercial Off-The-Shelf (COTS) power supplies which are manufactured commercially, readily available, and are typically non-development type items. Our power supplies, when specifically ruggedized or additional EMI filtering added may be used in harsh environment Military Applications. COTS power supplies and MOTS power supplies (Modified Off The Shelf) units are in contrast to Full Custom Power Supply systems that are designed and fabricated entirely for the specific application. In addition COTS power supplies can be used in Industrial Systems, Harsh Environment Applications providing high reliability cost effective systems. Based on your needs Technology Dynamics Inc. will try to offer COTS products as a solution to our customers in order to ensure low unit cost and short time deliverables. When COTS products are not suitable, we will offer (MOTS) Modified Off The Shelf products. When both COTS and Modified-Standard are not applicable, Technology Dynamics Inc. has a vast library of over 3500 Field Proven Custom Power Supply designs to fit your exact needs. 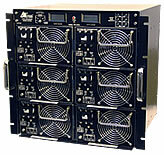 Technology Dynamics Inc. Panel Mount and Rack Mount Power Supplies are ideal for all your Rack Mount applications. Many of our Power Supply products are designed so that they can be easily mounted to standard or customized 19” wide racks with panel heights of 1U, 2U and 3U configurations. Panel Mount / Rack Mount Power Supplies are available with Circuit Breaker Inputs, LED Indicators, Custom Colors, Handles and dozens of other options so that these Power Supplies meet your exact needs. Please contact us at Marketing@pamir.com for more information on Panel & Rack mount capabilities. 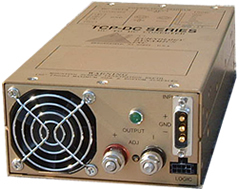 Technology Dynamics Inc. military power supplies meet or exceed MIL-SPEC reliability requirements, including MIL-STD-1399, MIL-STD-461, MIL-STD-810 and other critical requirements. Utilizing field proven technology, their family of rugged military power conversion products are used in harsh environments including Shelters, Tactical Systems, HMMWVs, Ground Support, Airborne, and Shipboard applications. Technology Dynamic’s satisfied and ongoing customers include Raytheon, Northrop Grumman, Lockheed Martin and Harris Corp. just to name a few. 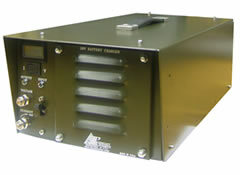 Technology Dynamics Inc. continues to provide an extensive range of modified standard, semi custom and custom military power supplies for the Air Force, Army, Navy, Coast Guard and the Marines utilizing a variety of military specifications. Their power supplies are typically designed to meet or are compliant to one of the primary military input power specifications: MIL-STD-704 (Air Force), MIL-STD-1299 (Army) and MIL-STD-1399 (Navy) and any of their revisions. Many of their power supplies are qualified to the various requirements defined in MIL-STD-810 (Environmental Test Methods), MIL-STD-461 (EMI) and MIL-STD-901 (High Impact Shock). Every power supply is 100% burned-in and acceptance tested and many are put through Environmental Stress Screening (ESS) based on specific program requirements. As a reliable source for the design and manufacturing of high reliability MIL Spec power supplies, Technology Dynamics Inc. continues to provide a wide variety of Power Supplies and DC-DC Converters to the Military and its Sub-Contractors in some of the most demanding applications. For more information about Technology Dynamic’s various custom Military Power Supplies, please contact us at Marketing@pamir.com. Technology Dynamics Inc. is the industry leader in Custom Power Supply design and manufacture from a few watts to 75KW. Their AC-DC Switching Power Supplies, DC-DC Converters and DC-UPS Systems are sought after for today’s demanding applications. Each unit is Rugged, Reliable and built to last with field proven Quality second to none. Technology Dynamics Inc. 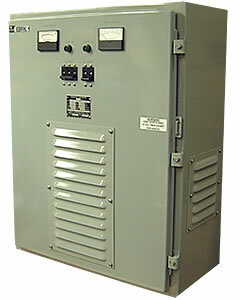 Custom Power Supply Products can be found in a wide variety of Industrial, Commercial and Military applications. When everyone else says NO, Technology Dynamics Inc. says YES! Why Choose Technology Dynamics Inc. Experience – they know how to make Rugged, High Reliable Power Supply Products that outperform the competition. You work one on one with Technology Dynamic’s Engineering group. They are in the process from beginning to end, from design to shipment. You will move from concept to prototype to production quickly and cost effectively and you will be working with a company located in the United States. Technology Dynamics Inc. continues to manufacture High Quality AC to DC Switch Mode Power Supplies and DC to DC Converters since 1976. With their commitment to Quality, Reliability, and Customer Service, Technology Dynamics Inc. is the only choice when it comes to your critical application. Backed by a dedicated Engineering, Production and Sales Team, Technology Dynamics Inc. is the Dependable and Cost Effective solution for all your power conversion needs. When Quality is a Must, Reliability is Critical and On Time Delivery is Crucial, Technology Dynamics Inc. stands alone.